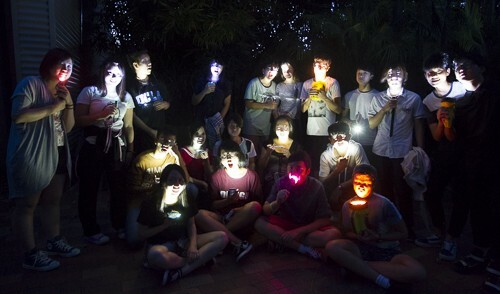 Experience the thrill of spending a night at Adelaide Zoo and join one of our Zoosnooze sleepovers! An Adelaide Zoo Zoosnooze includes facilitated education sessions and a guided night walk, highlighting important animal and habitat conservation issues. Friday night Zoosnooze is offered to all school and community groups including Scouts and Joeys, church groups etc. This program begins when the group arrive at 5pm, however you are welcome to arrive earlier and enjoy the Zoo under your own supervision (please bring your own afternoon tea). After a BBQ dinner the evening program engages students with activities such as a live animal close-up and an exciting night walk when no one else is about. On Saturday morning the group is given a Behind the Scenes Tour before and early morning walk before the Zoo opens to the public. Sleep in the comfort of our indoor classrooms or our roof-top tents are available for ages 11 and above. 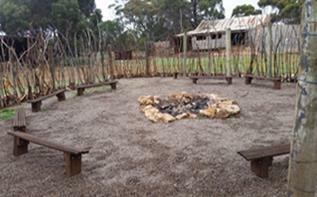 Have fun, be active and get hands-on with nature – all in a unique bush camp setting. Discover more about the amazing world we live in and learn and how you can help to protect it. Stay at Indaba, our unique bush-style camp in an off limits area of Monarto Zoo. This overnight experience is a truly unique way to experience Monarto Zoo. The Indaba Bush Camp can be booked for use on Monday to Saturday evenings. We offer both single and double overnight experiences. We also offer a fully catered option, or you can self-cater using the bush camp facilities. Any extra supervisors over this ratio will be required to pay the same as the student. Please note Saturday night bookings will incur an extra one-off fee of $230 to cover staff penalty rates.